Fuseco offers complete range of benchtop power quality analyzers from single phase to six phase applications. 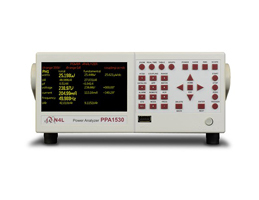 The PPA series power analyzers from Newtons4th (N4L) provides true wideband gapless measurements of on any input waveform. Please find below our range of power analyzers with basic comparison. They are widely used for various applications including lighting, efficiency measurements, Transformer's testing, stand by testing, harmonics and Flickr testing.